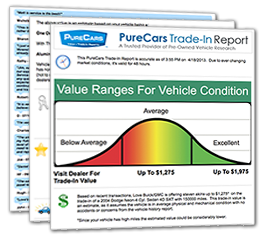 Get a free estimated Trade-In value in just 30 seconds! Join the tens of thousands of satisfied car owners who have successfully valued their trade-in. What Is Your Vehicle's Approximate Mileage?